Opening just prior to the government-backed conference, Oct. 31, the Blockchain Hackathon will see more than 250 registered teams and individual developers throw down for a top prize of €50,000. The developers will be judged on the “originality and feasibility” of their dApp submissions, whether distributed or decentralized, according to the event’s press release. 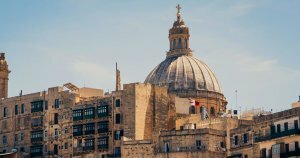 The Summit itself has confirmed a selection of high-profile figures in the fields of blockchain, artificial intelligence, big data, quantum technology and IoT—including the charismatically controversial John McAfee, blockchain technology co-inventor W. Scott Stornetta and Malta’s Prime Minister Joseph Muscat, who will presumably be reflecting on his government’s noted pro-blockchain efforts. While coinciding with the Summit, the two-and-a-half day Hackathon will reportedly offer aspiring and seasoned coders exclusive networking opportunities with a number of industry heavyweights including Chronobank’s Mikhail Savchenko, Mattereum’s Mihai Cimpoesu and Ebo’s Gege Gatt, among others. The Hackathon will take place between Oct. 31 and Nov. 2 at the InterContinental Malta, and is still welcoming registrations from individual developers or teams (four to eight in size) whom present diversity in their skill-sets—for example, smart contract developer, web UX/UI designer, server and client-side web development, and project management. The post More Than 250 Coders to Battle at Malta Blockchain Summit appeared first on CryptoSlate.